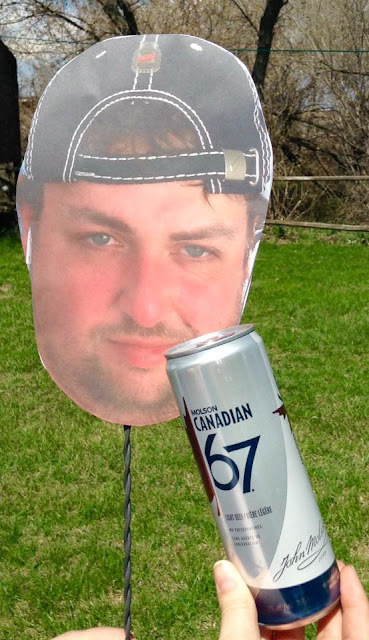 For the Brandon Sun, I've been asked "why don't you ever review any Phillips IPAs?" Simply: they're impossible to get in stock here in Brandon. Whenever a new Phillips beer comes to town, it's sold out within a few days because... well.. people want to drink their beer! So if you don't snag a bottle within a day or two of it being put on the shelves - it'll be gone before you know it. 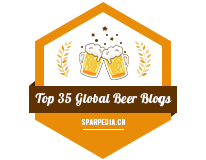 3rd Blind Mouse Triple IPA is no exception. When I saw this beer on the shelves last week, there were only three bottles left - I bought two. One to drink on a crappy night and another to review. 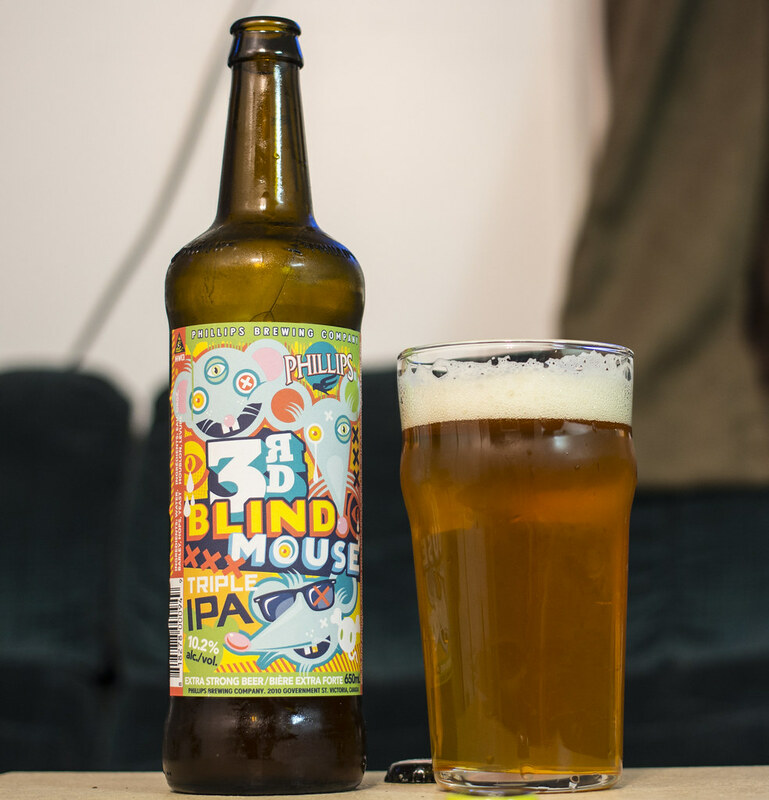 3rd Blind Mouse is a Triple IPA that tops out at 10.2% ABV, so this isn't the kind of IPA you want to drink by yourself. Appearance: 3rd Blind Mouse pours an orange-amber ale, lightly hazy with a decent amount of carbonation. A half-a-finger's worth of foam as it settles down, it's a creamy yellow-beige head that's a bit creamy and just lingers to the side of the glass. Aroma: It's parfumic, it has sweet & tropical notes of pineapple, grapefruit and lemon. Moderate bitterness of hops, not as bitter as what I would expect but after the tropical fruitiness - I'm getting notes of pine and fresh cut alfalfa. A bit of a blunt yeastiness in there as well. Very boozey-forward.. my acid reflux is acting up just from the aroma alone.. Taste: Bitter as heck - lots of pine, a bit of a nuttiness that I've come accustomed to from Phillips' million IPAs and sweet & tropical flavours of grapefruit and lemon - no pineapple this time.. instead it's more of a bite of alcohol. I can feel the alcohol taking over from the very little I've had so far. Bit of a metallic and for some reason.. appley aftertaste. Overall Thoughts: For the price - just under $7, it's a great bargain. The hops are all over the place and great tropical notes in the aroma make it very inviting. Very bitter tasting, strong ABV and welcoming aroma? I like this.